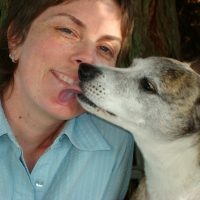 Veronica is the founder of dog biz, the dog pro industry’s leading business consultancy, through which she has been helping dog trainers help dogs since 2003. She is the author of How to Run a Dog Business: Putting Your Career Where Your Heart Is and The Business of Dog Walking: How To Make a Living Doing What You Love, and the co-author of Minding Your Dog Business: A Practical Guide to Business Success for Dog Professionals, and writes on business topics for many dog training industry journals. Veronica is a sought-after speaker at conferences and dog training schools across the US and internationally. She has recently spoken to positive reinforcement trainers at conferences and seminars in countries as diverse as Chile, Spain, New Zealand, the UK, and here in Australia, including last year’s APDT and Delta Conferences. As former Director of Behavior & Training at the San Francisco SPCA, and as a dog training business owner before that, Veronica understands what it means to be a dog trainer first hand—the daily worries about everything from client compliance to financial security, the unique challenges of a “flexible” schedule that requires evenings and weekends, and the struggle to balance clients and training with the minutiae of running a business—and to balance all of that with a rich non-work life. 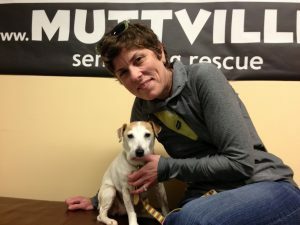 Her background as a trainer, her business expertise, and her work as an educator put Veronica in a unique position to help professional dog trainers learn to become as skilled in business as they are as trainers—and that means more dogs’ lives touched by positive training. CLICK HERE for the John McGuigan (Glasgow dog trainer) episode. CLICK HERE for the Morten Egtvedt (Co-founder of Scandinavian dog training school Canis) episode. CLICK HERE for the Chirag Patel (Domesticated Manners) episode. This podcast has been very helpful. Loved this episode, which I delayed listening to for some of the reasons mentioned by Veronica — mostly a resistance to paying attention to business building and marketing issues. Her enthusiasm and confidence are inspiring, and she has lots of great practical advice. Thank you!